At the heart of health and well-being is food security and agriculture, according to South Africa’s National Development Plan, could create nearly a million jobs by 2030, with small-scale farming playing a big role. 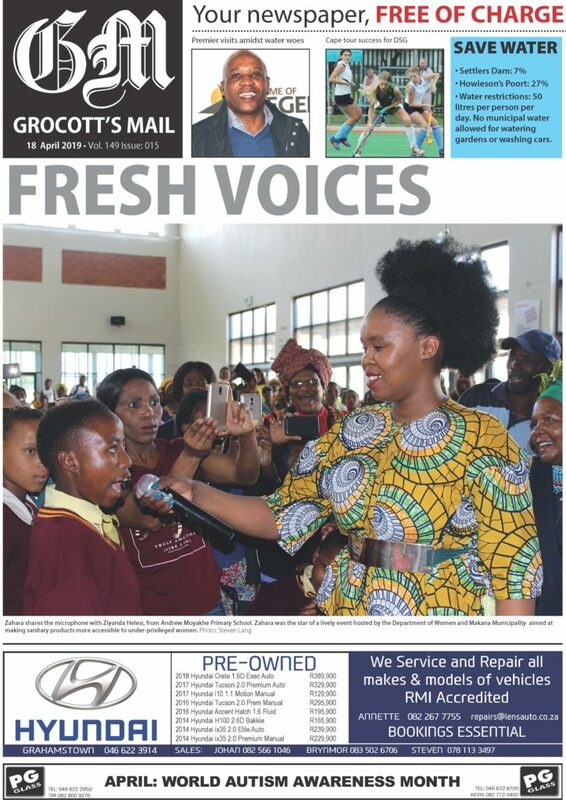 Meanwhile, it’s hit home in the Eastern Cape that long-term drought is a reality, and of the nine provinces, ours recorded the highest increase in unemployment (3.8 percentage points) according to Stats SA’s latest report. 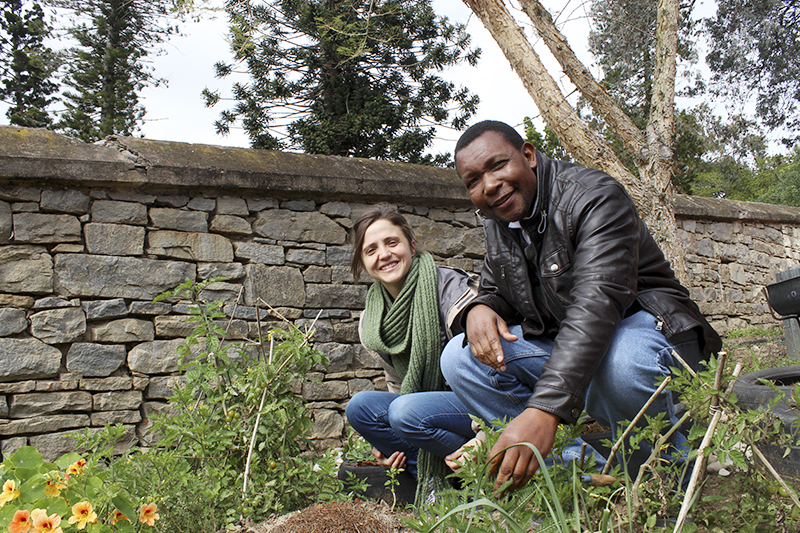 Looking for ways to increase food production through more efficient and effective use of water is the mission of a group of researchers from Rhodes University’s Environmental Learning Institute, led by PhD researcher Tich Pesanayi. The rural areas the Amanzi for Food team works in are hardest hit by the drought and they and the communities they work with have had to be extraordinarily resourceful when it comes to harvesting and conserving rainwater. As a result, they have valuable lessons for urban home-owners and tenants who want to grow food for subsistence or selling in their gardens or yards. Pesanayi said the resources they offer include their short course to train trainers to work with small scale farmers (see below) in partnership with dedicated agricultural educators based at Fort Cox Agricultural College, the University of Fort Hare and Lovedale College and agricultural extension offices, as well as the local economic development directorates of municipalities. Their main tool for learning and teaching, though is the productive demonstration sites where people can sign up for NQ5 and 6 qualifications, accredited by Rhodes. Participants are selected on the basis of their likelihood to share what they learn and expand the community’s skills base. They operate within learning networks. “We learn from each other,” Pesanayi says. One of the networks is based in Lloyd VIllage, where they work in a co-operative garden run by 23 people, 18 of whom are women, and Pesanayi used this as an example of the kind of problem-solving that happens. 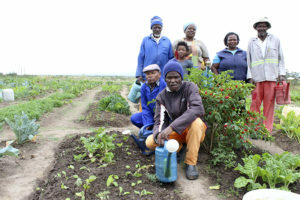 The Imvotho Bubomi group found that drought had shortened their growing season, with less rain coming later and later. 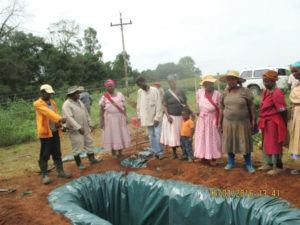 With the help of a tractor from UFH the group built a farm dam, 10m in diameter and 1.5m deep, as well as furrows in the land to divert rainwater. “A lot of the changes are really simple, and cost nothing, but they make a huge difference,” Pesanayi said. An important task for the team from Amanzi for Food, as researchers (“it’s research, not development work that we’re doing”) is to make material developed by the Water Research Commission accessible to communities that need it. Material available for free on the WRC website includes rainwater harvesting, biogas generation, aquaculture, growing traditional leafy vegetables and greywater harvesting. If you’d like to learn more about cost-efficient and water efficient ways of growing food in tough conditions, you can apply for the next round of training (details below). 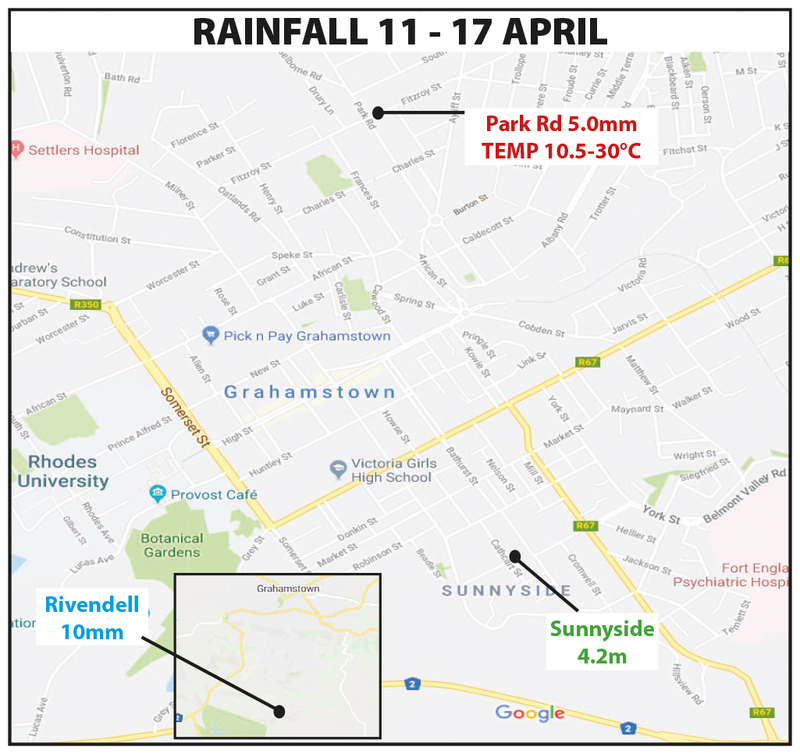 Is this kind of information relevant for people living in Grahamstown? “Definitely,” says Pesanayi. 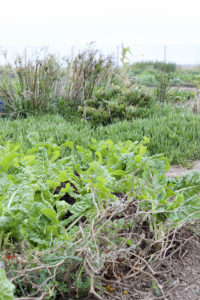 “We know that Grahamstown is struggling with water, so these harvesting and conservation techniques are essential for people growing food in their yards. He feels schools could do more to develop food gardens, teaching learners to produce their own food. 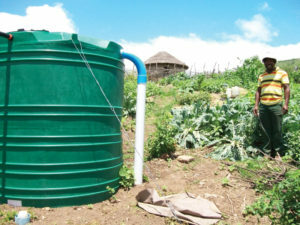 The Rhodes University Environmental Learning Research Centre is offering a free course on rainwater harvesting and water conservation for people training small-scale farmers and subsistence gardeners. While the course is free, attendance at all three contact sessions on 2-3 November 2017 and 8-9 February and 3-4 May 2018 is required. The Amanzi for Food Training of Trainers (ToT) course will focus on 16 diﬀerent rainwater harvesting and conservation practices for small scale farming and household food production developed by the Water Research Commission. It will also focus on grey water harvesting, and on how the practices can be used for supporting freshwater aquaculture and biogas generation. or call 046 603 8390. In fact, according to South Africa’s development blueprint, the National Development Plan, agriculture is a significant sector in the South African economy and has the potential to create close to one million new jobs by 2030. 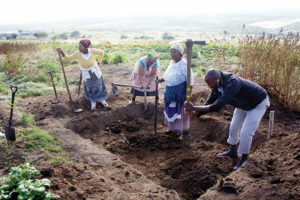 Smallholder farmers are expected to play a significant role in this, both in terms of poverty alleviation and rural development for South Africa’s rural economies and moreover contribute to the sustainability of food supply. The key to this is to get smallholder farmers to become commercially viable by creating return on investment which can be invested to grow their farming practices. It is also important to note that agriculture contributed 33.6% to the GDP growth of 2.5% in the second quarter, helping the economy to emerge from a technical recession, following GDP contractions over two consecutive quarters earlier this year.